California; U.S. District Court, Southern, Eastern, Central; Armed Services Board of Contract Appeals. Jeffrey B. Baird is a partner in the Marks, Finch, Thornton & Baird, LLP. His practice focuses on construction litigation, with a primary emphasis on delay, disruption and construction-schedule related claims. In 2010, Baird represented a general contractor in the defense of a $1.5 million delay claim by an owner related to the expansion and renovation of a large retirement community. A five-day arbitration resulted in the successful defense of the owner's claims and the litigation resulted in a net recovery for Baird’s client. Baird’s litigation practice also includes local, state, and federal bid protests; public and private construction claims, including mechanic’s lien foreclosures, extra work claims, stop notice claims, bid enforcement, contract defaults, surety obligations, and Federal Contract Disputes Act and Miller Act claims; and a variety of general business disputes, including breach of contract claims, misappropriation of trade secrets, trademark infringement, unfair business practices, and insurance coverage. Baird regularly counsels clients on project closeout requirements, including payment rights, administrative claim procedures, and dispute resolution options. Baird also handles construction related transactional matters, specializing in the review and preparation of public works and private works prime contracts and subcontracts, as well as counseling clients on alternative delivery methods, including lease-leaseback and construction management at-risk projects. Baird has participated in discussion panels and presentations on such alternative delivery methods. 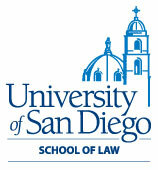 Member, State Bar of California; San Diego County Bar Association. 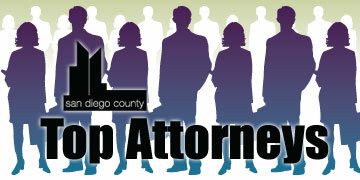 Baird was named a Top 10 San Diego Construction and Real Estate Law attorney in 2008 and 2011.